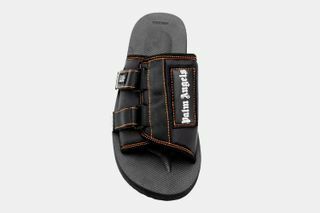 Key Features: Adjustable Velcro strap fastening at the front, contrasting orange stitching details, printed logo patch on the upper, branded insole and durable foam Vibram rubber sole. 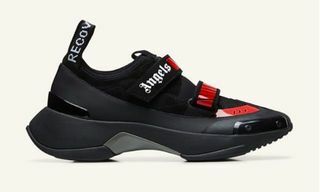 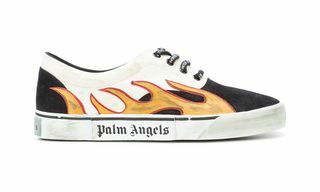 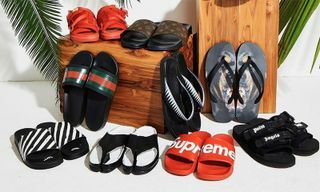 Editor’s Notes: After dropping the $765 Recovery sneaker, Palm Angels now presents its latest offering with sandals made in conjunction with Japan’s Suicoke. 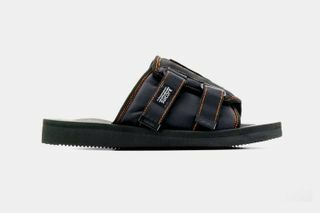 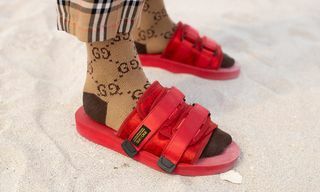 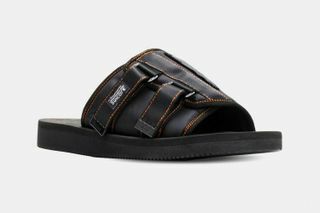 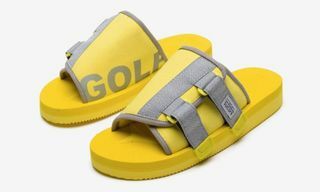 By utilizing Suicoke’s signature Patch Slider, the silhouette maintains its distinctive profile, elevated with Palm Angels branding, as well as the aforementioned features noted above. 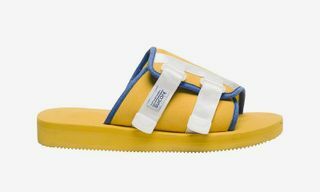 You can find the style at select Suicoke stockists now, while the brand recently introduced more offbeat sandal and footwear styles for SS19.